In this year’s Goldwater Scholarship National Competition for students who plan research careers in the sciences, mathematics, computer science, or engineering, 3 students from Maryland have won the scholarship, and a fourth UMd nominee was recognized as an honorable mention. Two of the scholarship winners, Geoffrey Ji and Rafael Goissis Setra, as well as honorable mention winner Daniel Albarnaz Farias, are mathematics majors. Congratulations to all three of them and congratulations also to Professor Wojtek Czaja who has been mentoring one of the winners - Rafael Setra. Professor Emeritus and Distinguished University Professor James Yorke was awarded an honorary doctorate at Universidad Rey Juan Carlos in Madrid, Spain, on February 3, 2014. Nice interviews with Jim and descriptions of Yorke's work have appeared in the Spanish press and on Spanish TV. Congratulations! Professor Xuhua He, who will be joining the department next year, was just awarded the prestigious Morningside Gold Medal of Mathematics at the Sixth International Congress of Chinese Mathematicians (ICCM) July 2013 in Taipei. Congratulations to Nadine Jansen, winner of a prestigious Barry Goldwater Scholarship. Nadine of North Carolina A&T University was one of 14 participants in the Department’s 2012 Summer Program In Research And Learning. Nadine and three other students researched the counting of restricted paths in an integer lattice in the plane. The research was conducted under the direction of Leon Woodson. The Summer Program In Research And Learning (SPIRAL) is an ongoing collaboration of the Mathematics Department at the University of Maryland and several Historically Black Colleges and Universities with financial support from the National Science Foundation and the National Security Agency. SPIRAL has been an annual event since it began under the direction of the late Dan Rudolph in the summer of 2003. 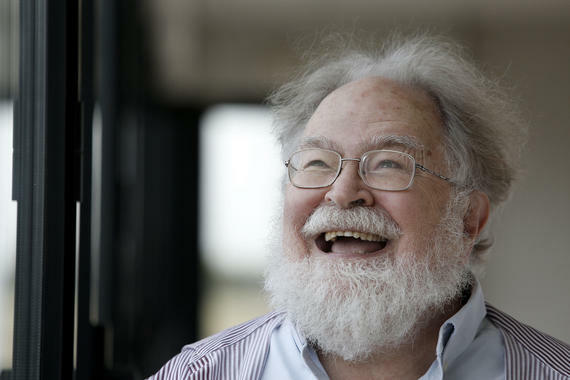 The conference is dedicated to Mark Freidlin on occasion of his birthday and is devoted to recent progress in probability and partial differential equations. It will take place at the University of Maryland, College Park, May 20 - 24, 2013. Visit the conference web site for more information.